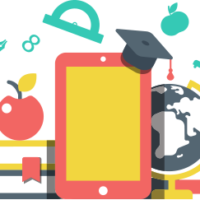 I recently delivered an online course; it was the first time that I didn’t have the chance to meet the students in a traditional classroom. The idea of delivering this course was challenging. 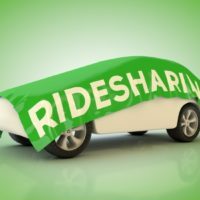 I was not sure if this “new” teaching approach would work, but after spending some hours as a student myself at Coursera.com and other online courses sites, I decided to give it a try. For sharing documents, folders, and written interaction I tried Dropbox (dropbox.com) as my first option, but I noticed some students were having problems accessing the information I shared with them. Then, I went to Google Drive and tried a different approach. Each student was required to have a Gmail account that allowed me to create and share folders with each individual student. Using the individualized folders I was able me to send personalized information for each student such as quizzes’ results, explanatory texts or specific topics they had to study. To deliver the lessons, Skype video conferences was my first option, but in the last classes I changed to Google Hangouts due to the facility to use one display computer for sharing the screen. Looking for a way to write on a board and share with the students, I tried a free online tool named White Board (https://awwapp.com/draw.html). It was good, but not enough to meet my instructional needs. White Board requires multiple steps for typing texts and saving screen to preserve any previously shared content. At this point, I turned to Google Drive in which I was able to create text documents that I instantly shared with the students. The instant interaction includes the option of multiple users writing together on the same document while using audio and video for more productivity. All the slide presentations that I used were created using Google Drive. I found it very useful, because I can share the content with the students right after finishing my presentation or during it. The advantages of using Google Drive include the option of sharing copies of any original presentation with students without being afraid of students accidentally deleting the content because the original is always safely kept in my folder. The most interesting tool that I found in Google Drive was the Form, using the forms allowed me to create quizzes every week (up to 6 per week with 10 questions each) with different layouts from multiple questions to open ended questions. Teachers can easily see students’ answers in an automatic spreadsheet that is created every time a new form is created. Finally, based on my experience using Google Drive for teaching online, the tools that I used the most were: Slide Presentation, Forms, Excel spreadsheet and Text for interacting with the students. There are still some other features that I would like to see in Google Drive as I mentioned in the recent survey I received. I will strongly recommend teachers out there to give Google Drive a try. Luis Bello is a teacher at Tulsa Public Schools in Oklahoma. 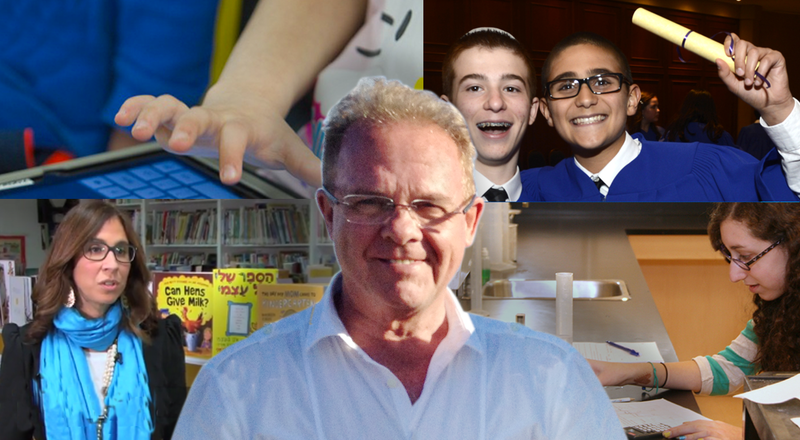 We have a special spot for our education users, and was happy to hear that Data Merge has been helping the Associated Hebrew Schools of Canada become more efficient as they move their operations to the cloud. 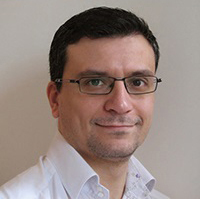 Brian Pugh, head of literacy, is one of the forerunners in this development at AHS. Come this year’s evaluation season, the middle school will begin using a system that he has been working on since the summer. Teacher Performance Appraisal (TPA) will be performed using Data Merge with a Google spreadsheet. It begins when the vice-principal or one of the two principals evaluates a teacher by submitting a TPA. There are about 160 questions in the appraisal, and the resulting spreadsheet is more than 700 columns wide. When the second principal gives his approval, it’s time to merge all that spreadsheet information into a document. No easy feat, given all the data! In the beginning they tried the add-on Autocrat, but that didn’t work, as they found that it wasn’t powerful enough to handle the sheer number of spreadsheet formulas. “It maxed out at around 150 formulas,” says Brian. Data Merge automatically creates the merged document, and sends the URL to the approving principal for e-signing, before the document is passed on to the teacher for review. When the system is up and running, the number of teachers can go up to 200. As Data Merge now displays the url of the generated document right inside the spreadsheet, keeping track of the evaluation forms is easy. 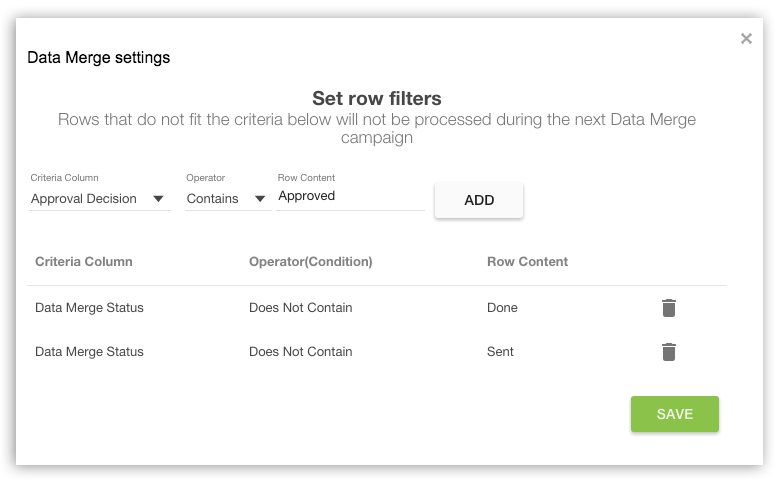 Available in the Google Add-Ons Marketplace, you can start using Data Merge right now. Enjoy a free 50 document or mail merges a day or get the unlimited plan for only $4/month. First of all, allow us to say that we are thrilled to have such an amazing community of users. You have been very generous with your feedback, and we’d like to say thank you. 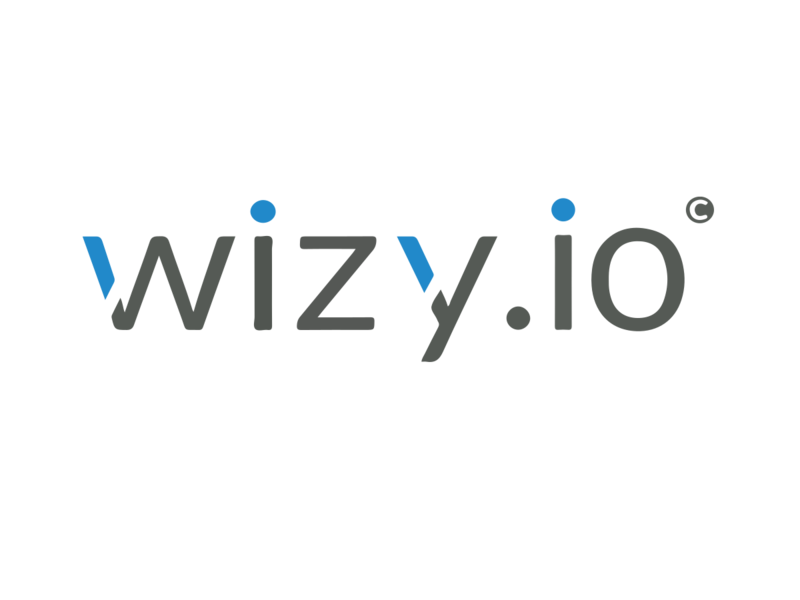 Since the last major upgrade of Data Merge, the Wizy.io engineering team has been working very hard, using your suggestions to create a user experience even more powerful for everybody. We brought back the possibility of picking any spreadsheet column to match with the Document Title and Shared to fields in the add-on sidebar. This is now Data Merge’s default mode. Turn the switch on if you want Data Merge to create the following columns automatically: Document Title, Shared to/Recipient and Email Subject. No need to rename your sheet “Data Source” to run a merge, Data Merge will work on the active sheet. Just select the sheet you want to process and click Generate! If you are scheduling an automatic batch in one sheet, the add-on stays locked on the sheet. To be able to use the add-on again you will need to unschedule the job. 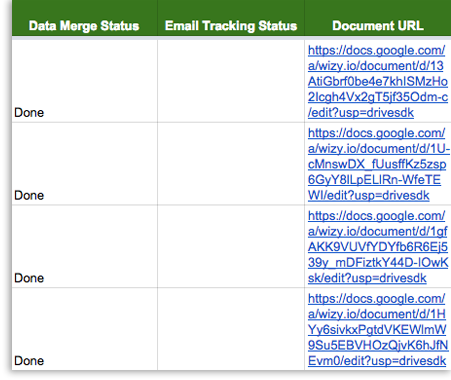 For the many of you using Google Forms linked to Data Merge, we have great news. 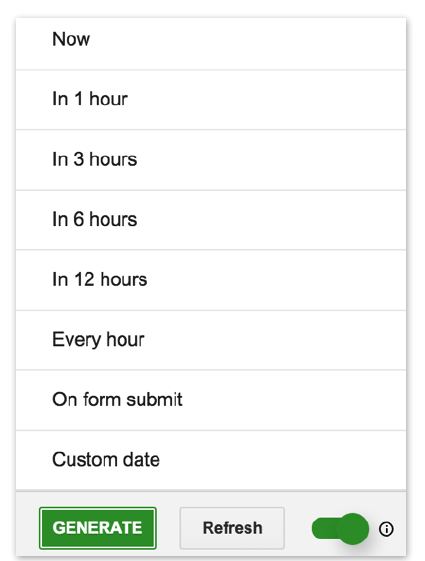 With this new release, you will now be able to program Data Merge so that it runs automatically on form submission. Document titles and email subjects can now be configured so they are generated automatically based on a prefix. 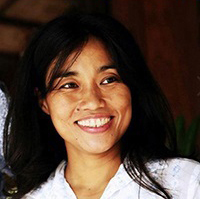 For example, documents can be Document – 1, Document – 2 and Document – 3. Want to share documents with only one user and send emails to just one recipient? Set document sharing and email recipients with a fixed email address. Now you don’t have to lose time scrolling through your templates to find what you need. 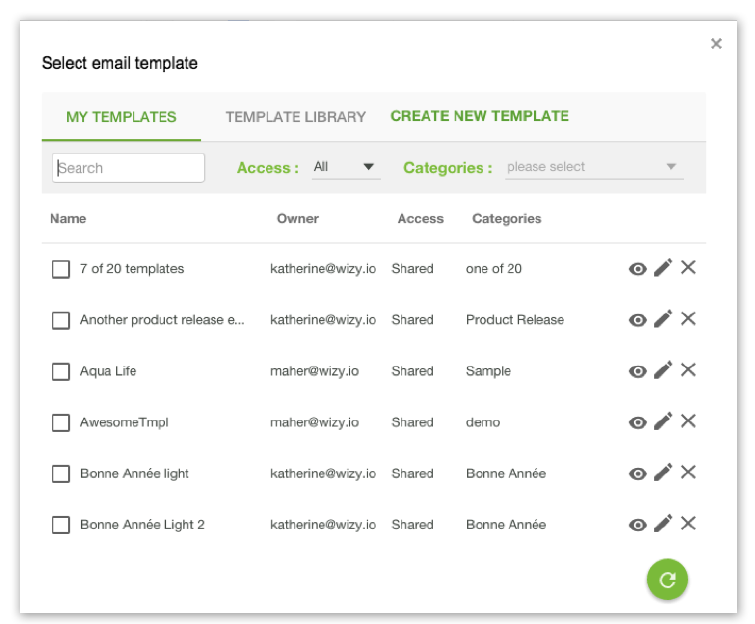 The new search function in your shared templates list makes templates management easier. 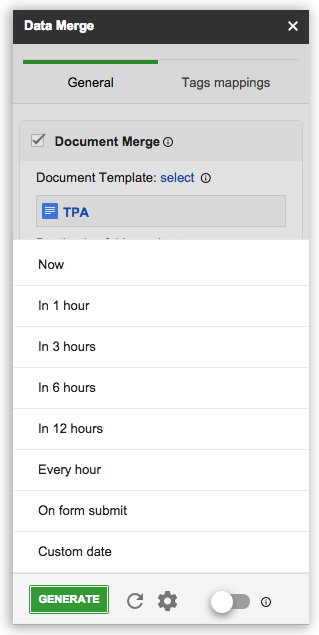 To finish off all these great new features, we have also fixed it so that all your tracking and scheduling details will follow the time zone settings of your spreadsheet, independently of that of your device. 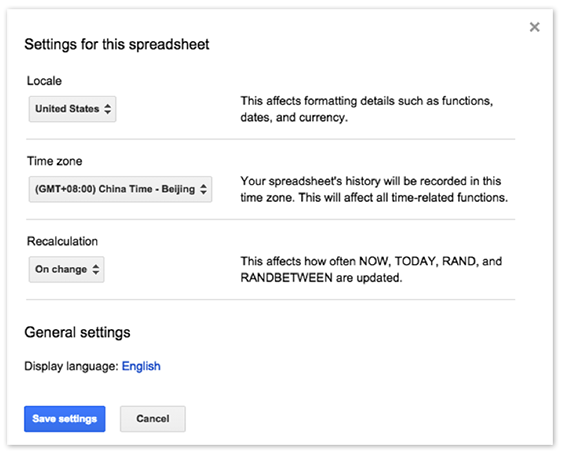 To set your spreadsheet time zone, go to File in your spreadsheet menu, and choose the item Spreadsheet settings. The add-on will now write your dates on your documents exactly as you write them in your data-source spreadsheet, for example 16 February 2016 or 02/16/2016. We are listening to what you have to say. Rest assured that we will continue to work hard to deliver a great Data Merge.